Gustave Loiseau’s parents were butcher shop owners who moved to Paris after he was born. Gustave became an apprentice to a decorator friend of the family and his parents, recognizing that he was unlikely to change his mind about his future sold their business and retired to Pontoise. Pontoise near Paris was important in French painting at the time, having been extensively depicted by Pissarro and Cezanne. In 1887 Loiseau’s inheritance from his grandmother enabled him to give up his job and devote his life to painting. Moving to Montmartre, he enrolled for one year at the École des Arts-Décoratifs to study life-drawing, until an argument with his teacher prompted him to withdraw. Departing from the École des Arts-Décoratifs, he reconnected with painter Fernand Just Quignon, whose apartment Loiseau worked as a decorator. He then became a pupil in Quignon’s studio. In 1890 he befriended the myriad of artists now known as the Pont-Aven School, most importantly Paul Gauguin, as well as Maxime Maufra and Emile Bernard. This school focused on bold usages of colour and the painting of Symbolist subjects. He first employed pointillist techniques and then re-found his pure landscape ideals – painting ‘en plein air’ – directly from nature. 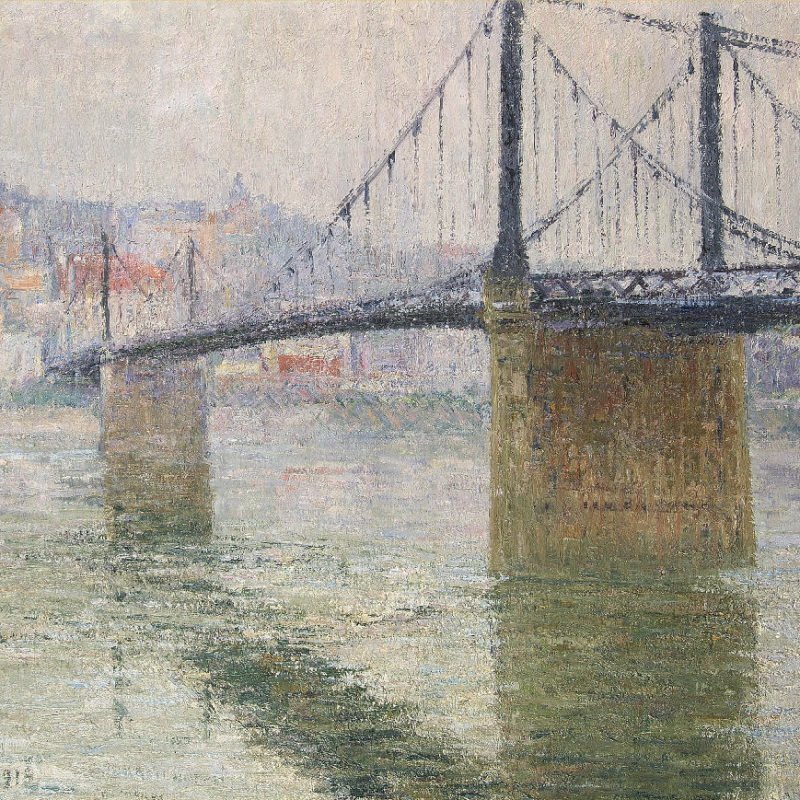 Loiseau developed a type of ‘cross-hatched’ technique, called ‘en treillis’ (latticework), which gives his paintings the supple, almost touchable quality he is known for.